Most of us can only dream of owning a chateau. Nelie Jacquemart-Andre was able to hang her hat in a chateau, late in life. When Edouard Andre died in 1894 and left Nelie Jacquemart-Andre a widow, she faithfully continued to fill out his collections. In 1902, Nelie was traveling in the Orient, scouting for antiquities, when she received word that a chateau just outside Paris was for sale. She dropped everything and rushed back to France. This was not just any chateau. It was the Abbaye Royale de Chaalis, and she had spent a good part of her childhood and young adulthood there. The guidebook above, new since the last time I visited, gave details about Nelie’s life that I had always wondered about. It turns out Nelie was not universally admired. The Comptesse Jean de Pange is quoted in the guidebook as saying that aristocrats used to mock the “plump, impulsive and very idiosyncratic little woman” who swept in and bought herself a fabulously historic chateau. (I sympathize with Nelie. Rich people always manage to annoy somebody). Nelie was a talented painter even as a child, and she was taken on as a sort of protege of the chateau owners at the time, particularly Rose Pamela Vatry. Nelie was given art instruction, a studio was built for her, and she attended soirees packed with the aristocracy, illustrious artists, musicians and writers, and even with royalty. The young woman had a particular flair for portraits, and she obtained many commissions. One of these commissions, to paint the rich young banker Edouard Andre, eventually led to her brilliant marriage. But Nelie was always a bit of a handful. Her patroness complained that she never even used her painting studio, she only appeared at dinner when the company was glittering enough, and she seemed more interested in social climbing than in painting. 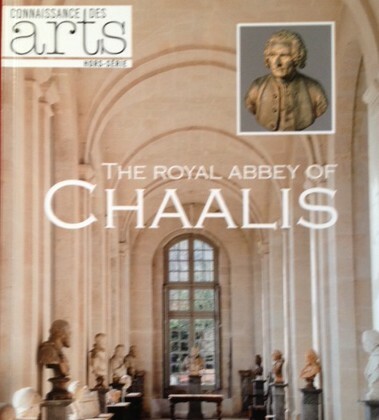 The Chaalis estate had begun as an abbey in the Middle Ages. It gained great wealth and power due to royal patronage and extensive rich lands. In the years 1255-1260, an exquisite small chapel was built, during the reign of St. Louis, the king who became a full-fledged saint. He used to retreat to the abbey and live for awhile as a monk when he needed a break from ruling France. 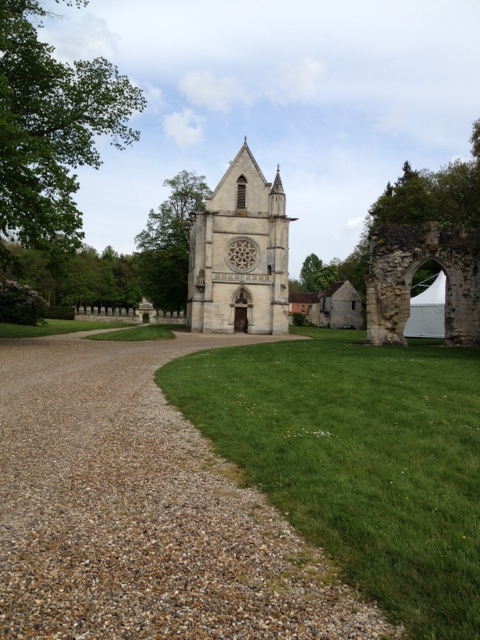 That chapel has been restored and is the best part of the chateau estate. By this time, the enormous main church had become a picturesque ruin, and so it remains. When the entire estate went up for sale in 1902, Nelie snapped it up at a bargain price. I gather that she felt she had been treated as a sort of poor relation; this was payback. She set about installing her own magnificent collections, especially of antiquities. 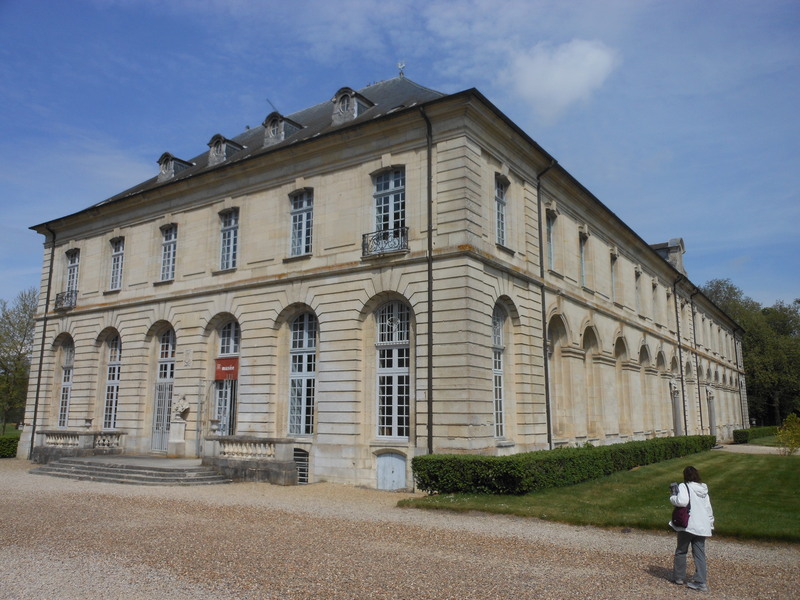 She also, according to the guidebook, hoped to marry a neighbor at nearby Chantilly, the Prince de Broglie. That never happened. On her death, Nelie left both her Parisian mansion and her country chateau to the Institut de France, and both were immediately opened to the public as museums. The Abbaye Royale de Chaalis is close to CDG Airport, making it an easy stop for drivers. 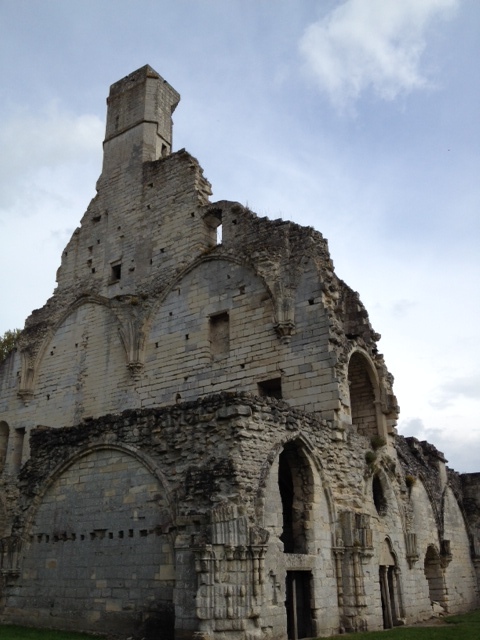 It’s near the pretty and walkable town of Senlis, with its own historic sights. Chaalis is covered by the Paris Museum Pass, unlike the Musee Jacquemart-Andre. Indoor photos are restricted. But the new guidebook is a great read. If anyone other than Nelie Jacquemart-Andre had bought the property, it would probably be a golf club with condos today. Instead, it’s a permanent treasury of art and history, open to all. This entry was posted in Art, Artists, France, Paris, Paris Museums, Paris Sights and tagged Abbaye Royale de Chaalis, Edouard Andre, Musee Jacquemart-Andre, Nelie Jacquemart, Paris Museum Pass, Rose Pamela de Vatry, Senlis, St. Louis on August 24, 2014 by Claudia Suzan Carley.